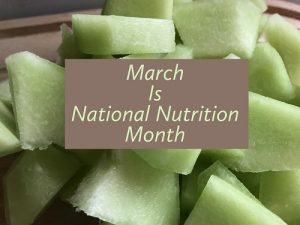 Every March, the Academy of Nutrition and Dietetics celebrates National Nutrition Month to raise awareness on the importance of eating a healthy diet for overall health. At our dental office in San Diego, we want to do our part and take this opportunity to also share the oral health benefits of eating a well-balanced diet. Your dentist in San Diego really doesn’t like sugar, and with good reason. This sweet stuff can wreak havoc on your teeth. When sugar is introduced to the mouth, acid levels surge. It’s this acid that attacks tooth enamel, wearing it down and leaving teeth exposed to bacteria and at risk for decay and cavities. A reduction in enamel may also increase tooth sensitivity or give teeth a dark, dull appearance. Our San Diego dental office prides ourselves as being active members of your healthcare team, and we’re to help get you healthy any way we can. Schedule your appointment with us today.